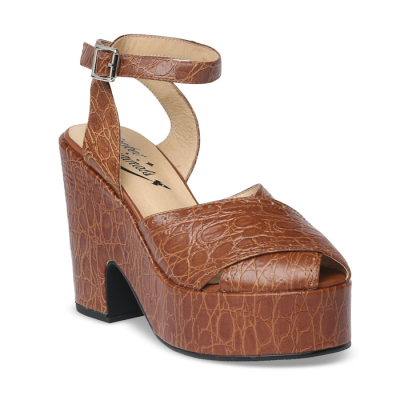 Our Miranda style is a copy of a pair of 1940's platform sandals. 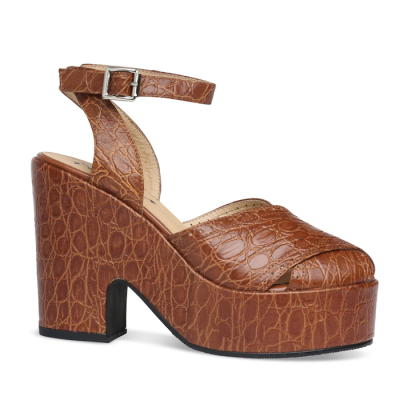 They have a 4 1/2 inch heel and a 1 1/2 inch platform, the ankle strap wraps around the ankle and fastens at the side with a roller buckle. 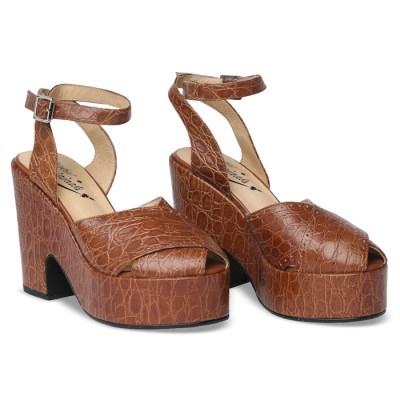 The uppers are in brown reptile print leather with a punched hole detail and they are fully lined with soft leather, they also have a padded insole for extra comfort. The only change we have made from the vintage shoe we copied is the fitting of a non-slip rubber sole. 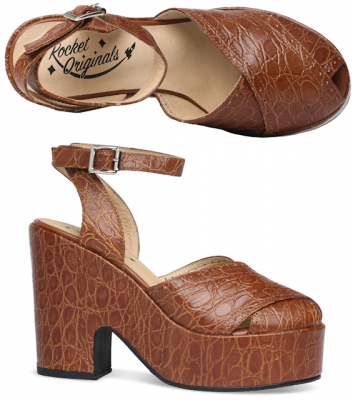 This style is a narrow to medium width fitting.